Have you always wanted to read Hebrew? Would you feel more comfortable in Synagogue knowing that you can read the Hebrew prayers? 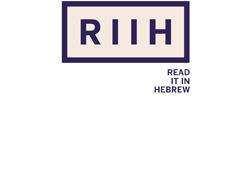 Do you want to brush up on your Hebrew reading skills? Do you know the difference between an Aleph and a Bet? Now, you can learn to read Hebrew in just 5 weeks!